Delta has been engaged with Wegmans Food Markets for nearly seven years and Giant Eagle Grocery Stores for more than four years, working to advance their ability to sell beer and wine through their grocery stores as restaurant “R” license holders. 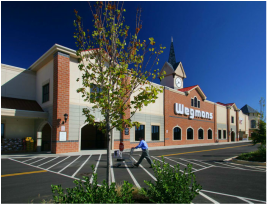 In December 2011, Delta successfully advanced an amendment to the Liquor Code on behalf of Wegmans and Giant Eagle that clarifies the permitted interconnection between the restaurant portion of the store, the grocery store section, and the shared kitchen facilities. Delta continues to interact with the legislature and the Pennsylvania Liquor Control Board (PLCB) on behalf of these clients, and has had several successes amending the Liquor code over the past seven years to advance client interests. 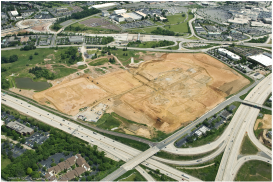 Stakeholders associated with the development of a large-scale mixed-use town center needed to secure multiple liquor licenses in order to accommodate restaurants that would be the cornerstone of a major economic development project. The challenge was that the Pennsylvania Liquor Code, which limited the number of available licenses in a county, was preventing the project from moving forward. Working with legislative leaders, Delta crafted legislative language to propose an amendment to the Liquor Code designed to encourage smart growth development around existing infrastructure. Delta successfully led an effort to amend the Pennsylvania Liquor Code and allow for the transfer of liquor licenses from Philadelphia to counties of the 2nd and 3rd classes for use in large-scale, mixed-use town center developments. The amendatory language was included in Act 155 of 2006. This effort built on Delta’s previous legislative successes, where Delta helped change the license transfer system from a municipal quota system to a countywide quota system in 2001 in addition to an amendment that permitted economic development liquor licenses in LERTA districts in 1995.